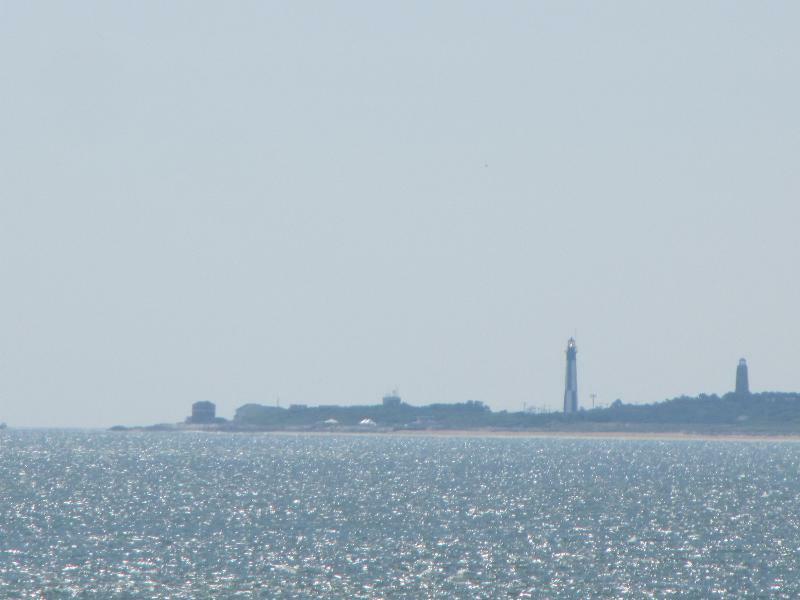 Looking back towards Va Beach from the first tunnel island. 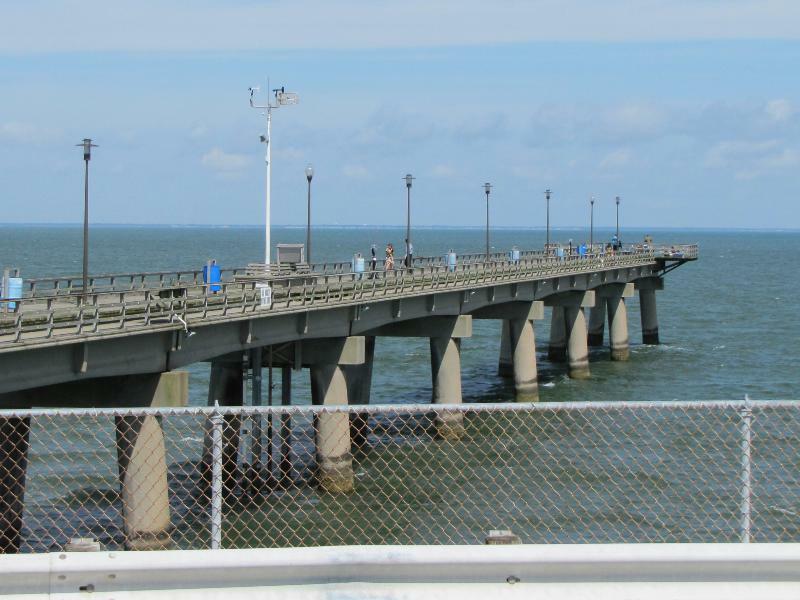 Today we headed north from Virginia Beach across the Chesapeake Bay Bridge Tunnels to what is called the Eastern Shore of Virginia. The spit of land that forms the east side of Chesapeake Bay is also called Delmarva because it is made up of portions of Delaware, Maryland and Virginia. 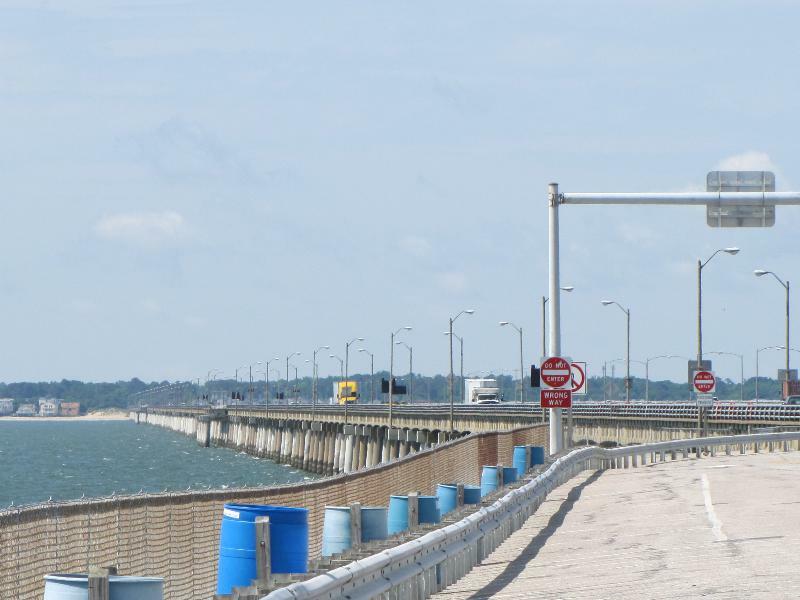 The Chesapeake Bridge Tunnel was amazing to cross. This is a toll bridge: it cost us $19 in toll one way for our motorhome. There are actually two tunnels and miles of bridges crossing the water where the Atlantic Ocean and Chesapeake Bay meet. There are two bridges wth two lanes each direction merging into two way traffic in the tunnels. It has been called one of the engineering marvels of the world. I have to say the construction of the thousands of concrete piers supporting the road decks is a marvel to see. The trip north up Highway 13 this morning was quite an eye opener. The rural nature of the area was immediately obvious. There were huge wheat and corn fields as well as lots of smaller fruit and vegatable plots. Both Purdue and Tyson had massive chicken processing plants and there were many farms that had chicken finishing buildings. 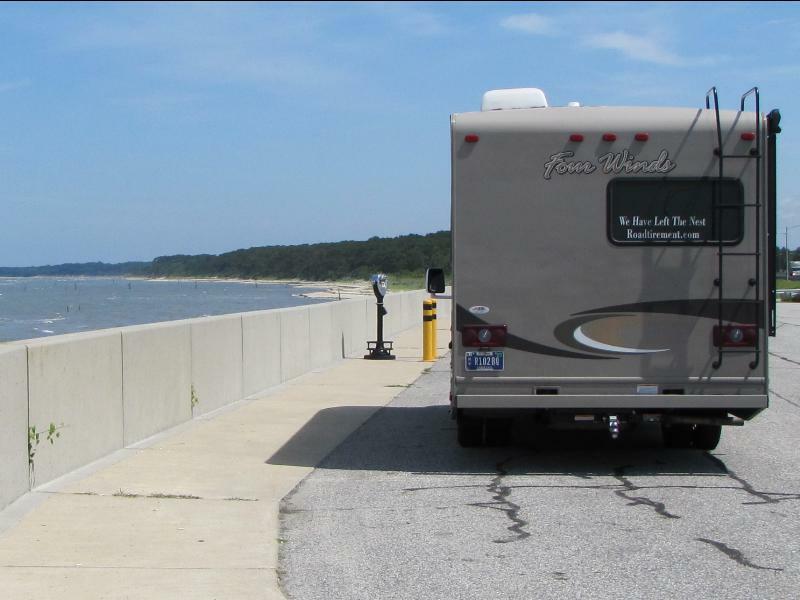 We checked out a few different campgrounds on our way and have ended up in Tom’s Cove Park campground on Chincoteague Island, Virginia. We’ll probably be here a day or two. It is hot this afternoon so we will take a walk down to the water later when things cool off a bit. There are supposed to be wild ponies on this island somewhere. We’ll do some looking into them while we are here.